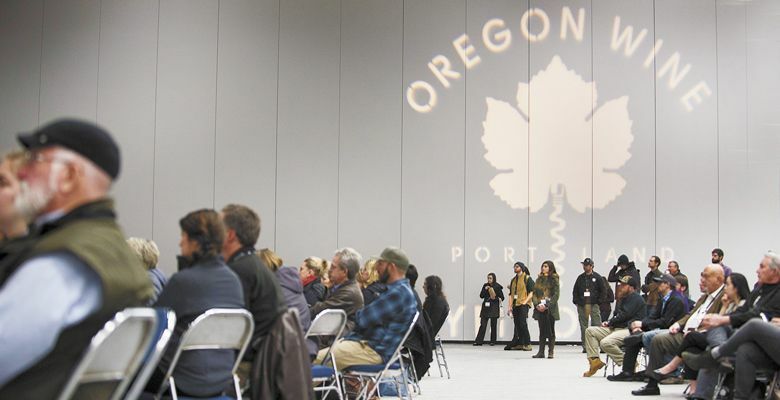 With 70 percent of Oregon’s winemakers operating as family-owned and lower-production — fewer than 5,000 cases annually — the Oregon Wine Symposium, Feb. 12 and 13 at the Oregon Convention Center in Portland, prepares its educational seminars specifically to assist smaller industry players in protecting assets, mitigating risks and building sustainable businesses by supplying them with the means to adapt and respond quickly in a fast-paced market. Focusing on this industry segment is imperative. 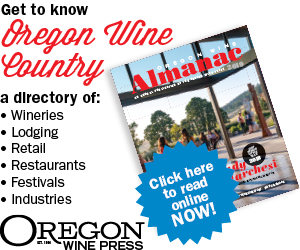 “The smaller growers and producers do more than just dot our landscape here in Oregon,” says Bree Stock MW, Oregon Wine Board education manager. “They really form the backbone of our industry. Viticulture seminars instruct on protecting the quality of the vineyard, from soil to plant. Attendees will benefit from two new lectures. “The Road to Clean Nursery Stock and Solutions for Red Blotch” will explain how to develop clean plants and ensure healthy stock when planting or grafting. This seminar also includes regional case studies and updates for small vineyards on clean plant efforts in the state and the latest research in addressing red blotch, specifically in the Willamette Valley and Southern Oregon. Additionally, “Regenerative Working Landscapes: Addressing Future Challenges from the Ground Up” explains how to achieve soil health to smaller growers. Moderated by Mimi Casteel of Hope Well Wine and featuring Dr. Paul Schreiner, a research plant physiologist at the USDA-ARS Horticultural Crops Research Laboratory in Corvallis, this breakout session focuses on water conservation in the small vineyard. Lively discussions will follow for winemakers who do it all. “Get out of the Cellar and Be a Seller” explores dynamic sales strategies, how to speak the language of distribution and the importance of building enduring relationships. Other vintner sessions include topics dedicated to managing two common challenges in the winemaking process, especially for smaller growers: “Oxygen Management in Your Cellar for Wine Quality and Health,” presenting research and techniques for avoiding premature oxidation and aging; and “Managing Microbes from Crush to Bottle,” which will explore how to avoid microbial spoilage at various control points along the winemaking process, including a tasting component. Along the executive business track, “The Bottom Line – How Understanding COGS Can Increase Your Profitability” will prove valuable in equipping small businesses in making wiser, more profitable decisions using the Oregon Wine Profit Planner. This free, online tool is the culmination after years of research into vineyard and winery costs, helping decision-makers navigate a sure path in sustaining profit. “Best Practices for DTC Managers” will present recruiting, hiring, training and retaining the most effective people for small brands and businesses. Similarly, “Connect, Invite, Close — the Art of Selling” will equip front-of-the-house staff with strategies on closing wine sales for increased profits in the tasting room. This seminar is also useful for winery staff serving as the face of wine brands, even when the winery is too small to have a tasting room. The Oregon Wine Symposium is presented by the Oregon Wine Board, Oregon Winegrowers Association and TricorBraun Winepak. For more information and registration, visit symposium.oregonwine.org.